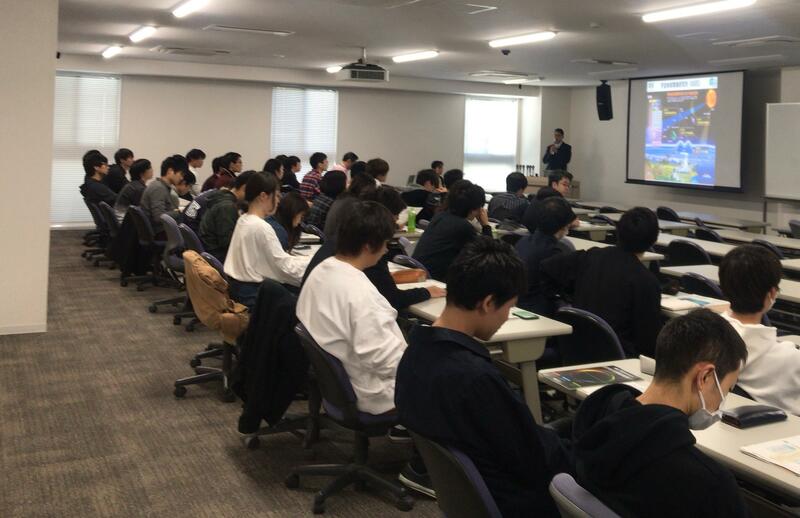 ISEE guidance to new students and members was held on April 8. ISEE guidance to new students and members was held on April 8. After greetings by vice director, Prof. Shiokawa, introduction to ISEE education and research of science, engineering, environmental studies, information security guidance, and health and safety training etc. were performed. 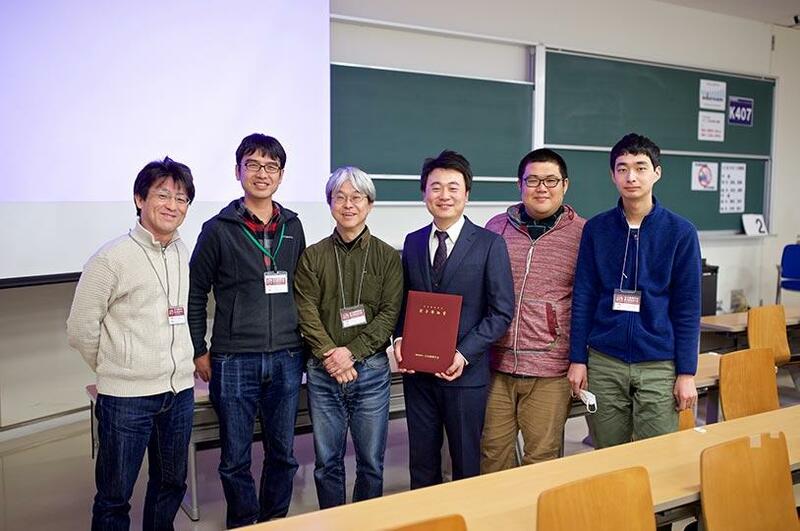 Dr. Qidong Zhou (周啓東), who received his PhD in our group in 2018 and now works in the Belle II group of KEK, was awarded Young Scientist Award of the Physical Society of Japan. 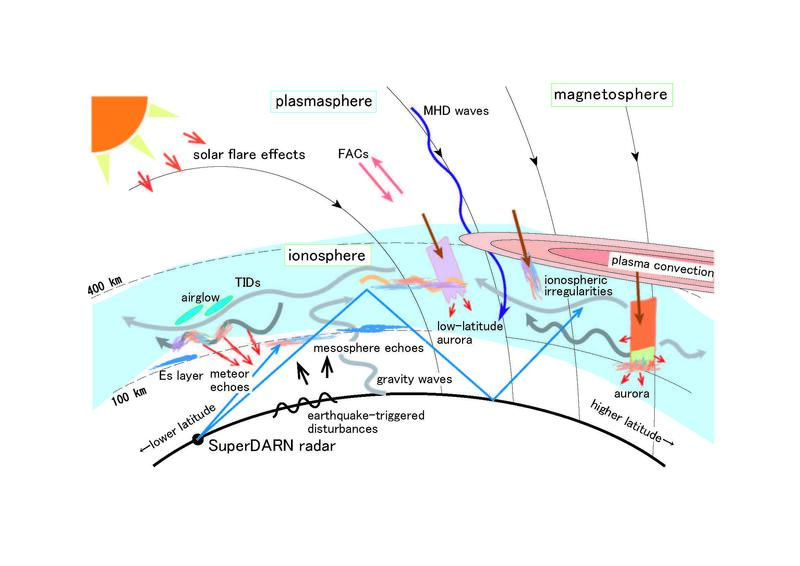 The mid-latitude SuperDARN review paper titled ”Review of the accomplishments of Mid-latitude Super Dual Auroral Radar Network (SuperDARN) HF Radars” has been published in Progress in Earth and Planetary Science journal. 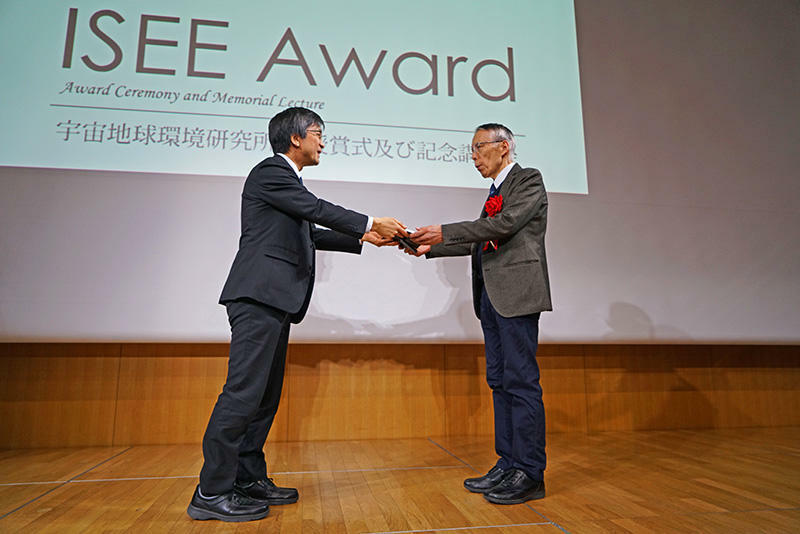 The first ISEE Award to Prof. Hisao Takahashi (National Institute for Space Research, Brazil). 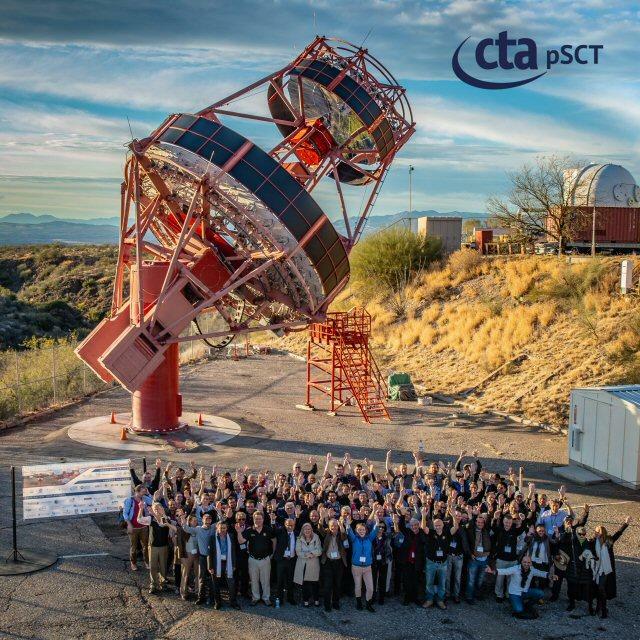 The prototype Schwarzschild–Couder Medium-Sized Telescope of the Cherenkov Telescope Array, a next-generation gamma-ray observatory, has been completed at the Fred Lawrence Whipple Observatory, Arizona, US. The completion was celebrated at its inauguration ceremony. Aiming to develop space-earth environmental research, the Institute for Space-Earth Environmental Research (ISEE) is presenting an ISEE Award to a prominent research activity that is based on the ISEE Joint Research Program. ISEE seeks nominations for this new award. 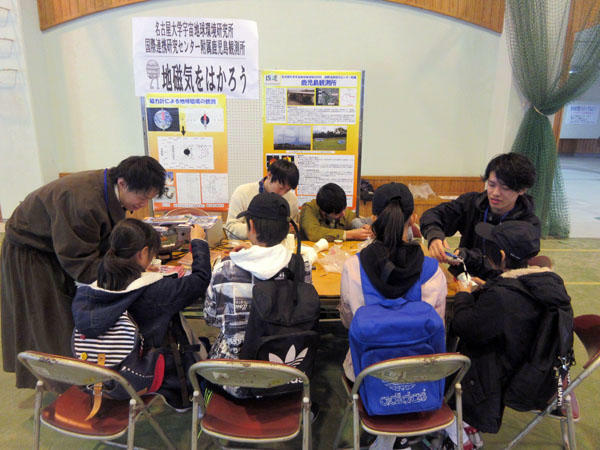 Prof. Shiokawa of CICR and five students of ISEE joined the Science Festival in Tarumizu 2018 which was held on 15 December 2018 at Tarumizu, Kagoshima near the ISEE/CICR Kagoshima Observatory. 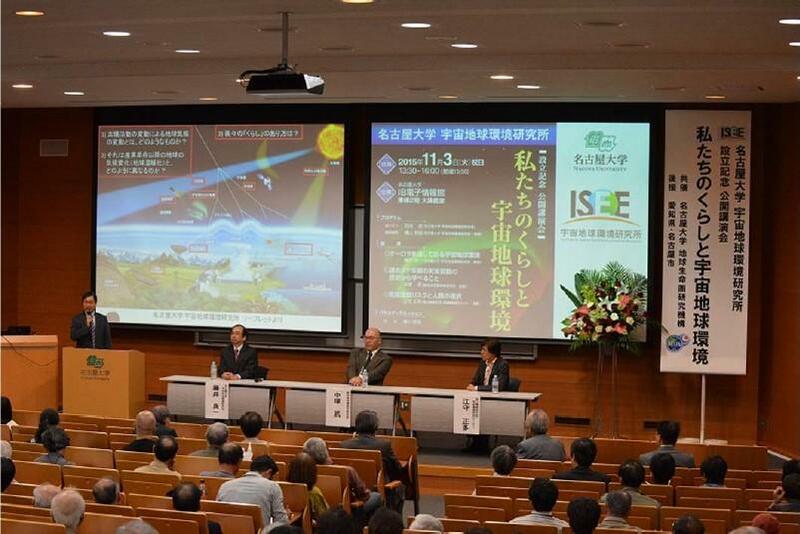 ISEE symposium "Recent progress in heliospheric physics by direct measurements of unexplored space plasmas"
The International ISEE symposium "Recent progress in heliospheric physics by direct measurements of unexplored space plasmas" will be held from 25-28 Feb. 2019 at Nagoya University, Japan. The 2018 ISEE prize winner will also give a plenary talk at the symposium. 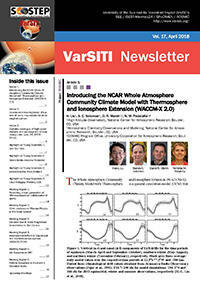 As an activity of SCOSTEP's VarSITI (Variability of the Sun and Its Terrestrial Impact, 2014-2018), VarSITI Newsletter volume 20 has been published from ISEE, Nagoya University. 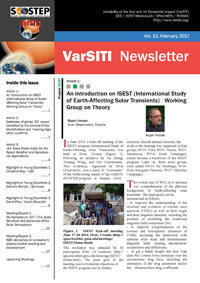 Call for ISEE International Collaborative Research Programs for the year 2019 was posted. 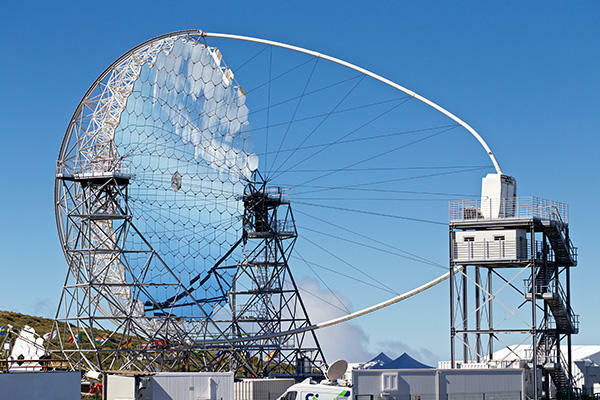 The first prototype Large-Sized Telescope of the Cherenkov Telescope Array, a next-generation gamma-ray observatory, has been completed on the island of La Palma, Spain. The completion was celebrated at its inauguration ceremony. On September 7, 2018 MDT (September 8 in Japan time), an international team from Nagoya University, National Astronomical Observatory of Japan, Kavli IPMU at University of Tokyo, JAXA institute of Space and Astronautical Science, Tokyo University of Science, Minnesota University, University of California at Berkeley and NASA performed the thrid flight of the Focusing Optics Solar X-ray Imager (FOXSI-3) sounding rocket payload for solar X-ray observations from White Sands, New Mexico, USA. 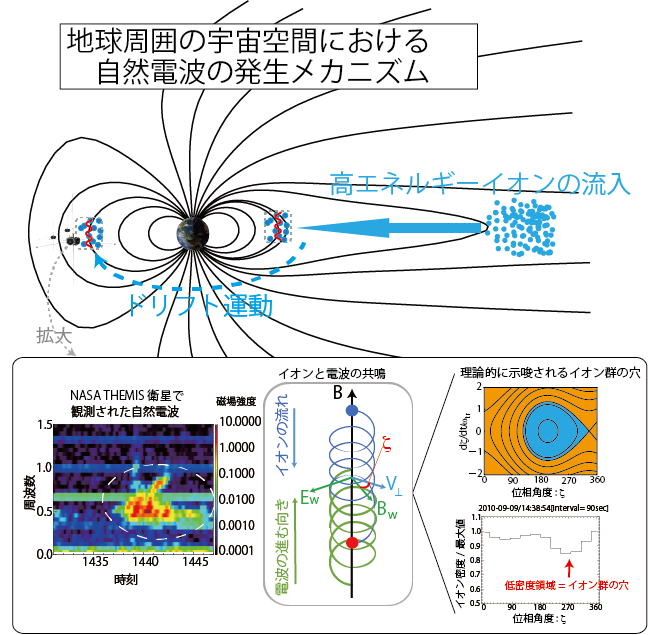 A high-speed X-ray CMOS camera developed in Japan was onboard, and the CMOS camera sucessfully performed imaging spectroscopy of X-rays from the Sun in a 0.5-5 keV range for the first time. 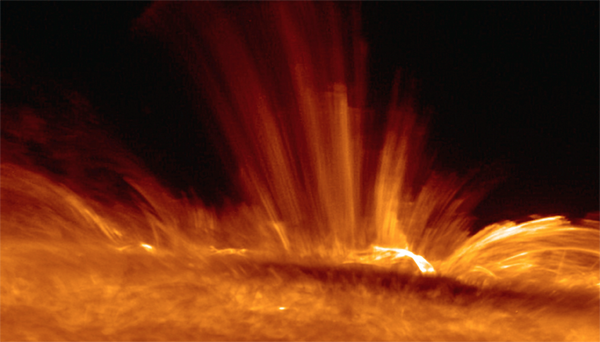 We expect the FOXSI-3 observation will reveal detailed physical conditions of the solar corona and coronal small scale events. 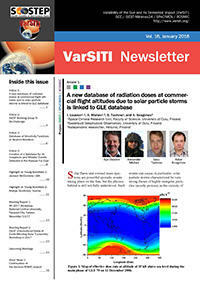 As an activity of SCOSTEP's VarSITI (Variability of the Sun and Its Terrestrial Impact, 2014-2018), VarSITI Newsletter volume 18 has been published from ISEE, Nagoya University. 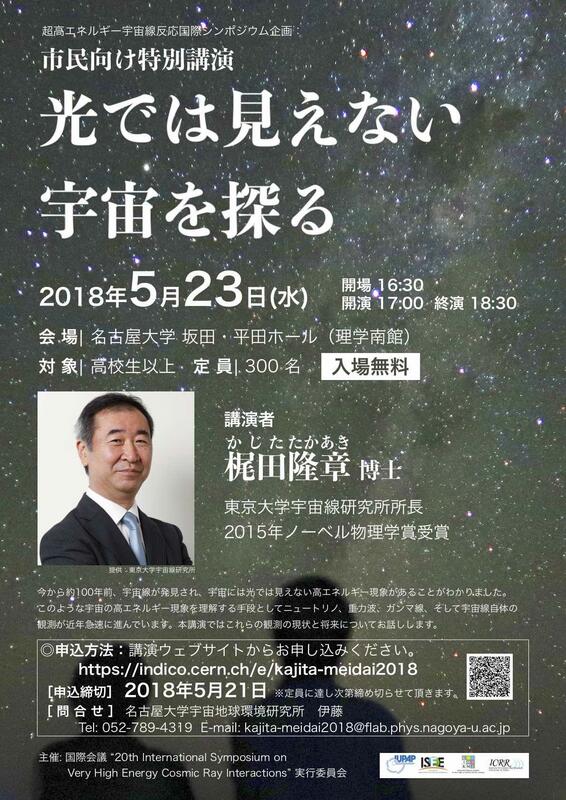 Public lecture "Invisible Universe" given by Prof. Takaaki Kajita will be held at Sakata-Hirata Hall, Nagoya University, 17:00- May 23rd (Wed) 2018. Admission free. You need registration from the web page. This lecture is held as a public lecture in ISVHECRI2018. 20th International Symposium on Very High Energy Cosmic Ray Interactions (ISVHECRI 2018) held at Noyori Conference hall, Nagoya University May 21st - 25th, 2018, covering high energy cosmic ray interactions and related topics such as neutrinos, gamma-rays and colliders. 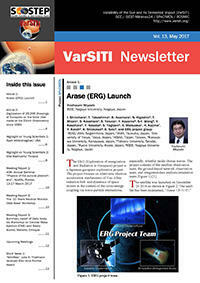 As an activity of SCOSTEP's VarSITI (Variability of the Sun and Its Terrestrial Impact, 2014-2018), VarSITI Newsletter volume 17 has been published from ISEE, Nagoya University. 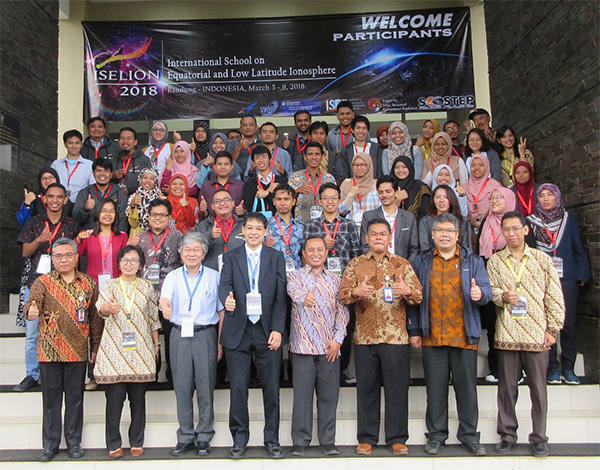 ISELION2018 was held at Bandung, Indonesia on 5-9 March 2018. Forty students and young scientists joined this school from 7 countries of Egypt, India, Indonesia, Malaysia, Nepal, Philippines, and Vietnam. 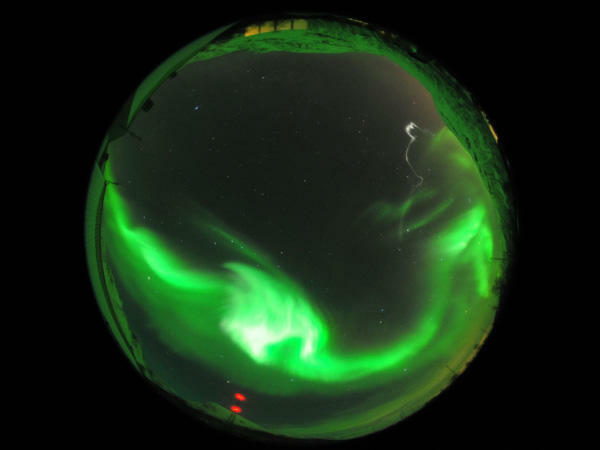 The Arase satellite for the first time identified the pulsating aurora electrons scattered by chorus waves in the magnetosphere. 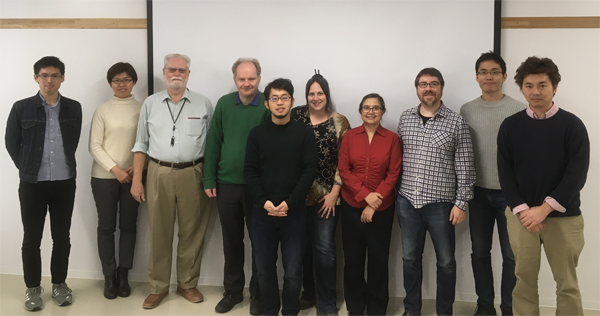 ISEE/PSTEP international workshop on "The Solar Cycle 25 Prediction Workshop in Nagoya"
The ISEE/PSTEP international workshop on "The Solar Cycle 25 Prediction Workshop in Nagoya" was held at ISEE, Nagoya University from 27 November to 2 December 2017. How does the upper atmosphere change by auroral breakup, this is an outstanding question in the Magnetosphere-Ionosphere-Thermosphere coupling study. We published a paper in JGR Space Physics analyzing data taken from a sounding rocket and ground-based instruments. The paper was chosen as an article of Eos Research Spotlight. 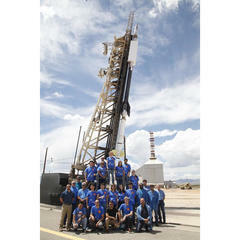 Aiming to develop space-earth environmental research, the Institute for Space-Earth Environmental Research (ISEE) is presenting an ISEE Award to a prominent research activity that is based on the ISEE Joint Research Program. ISEE seeks nominations for this new award. [The award nomination deadline has been extended until the end of June]. 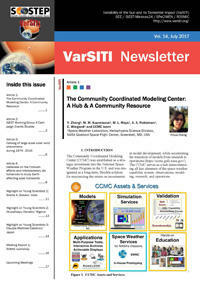 As an activity of SCOSTEP's VarSITI (Variability of the Sun and Its Terrestrial Impact, 2014-2018), VarSITI Newsletter volume 16 has been published from ISEE, Nagoya University. 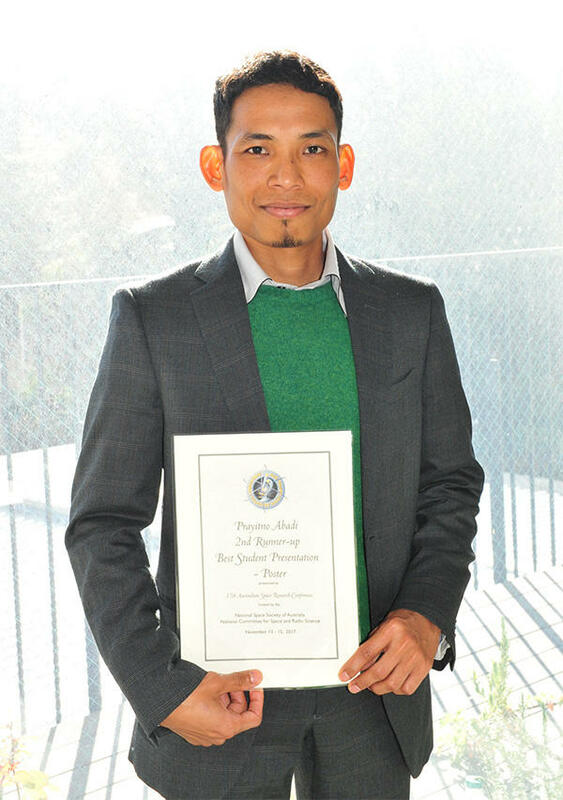 Mr. Prayitno Abadi (Division for Ionospheric and Magnetospheric Research; Graduate School of Engineering, D4) received Best Poster Presentation - 2nd runner-up in The 17th Australian Space Research Conference (ASRC), which was held at University of Sydney in Australia during 13-15 November, 2017. 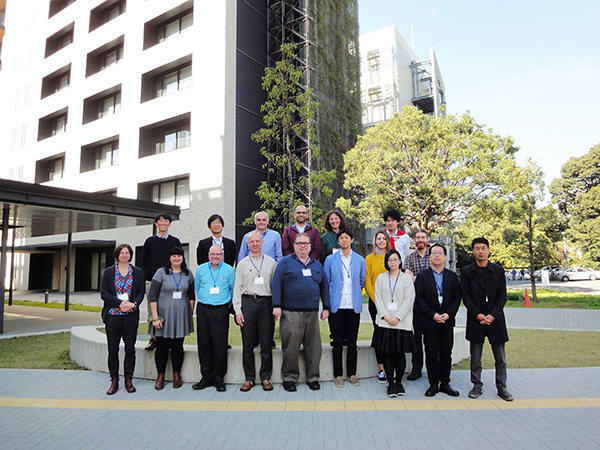 ISEE/PSTEP international workshop on "Benchmarks for Operational Solar Flare Forecasts"
The ISEE/PSTEP international workshop on “Benchmarks for Operational Solar Flare Forecasts” was held at ISEE, Nagoya University from 31 October to 2 November 2017. 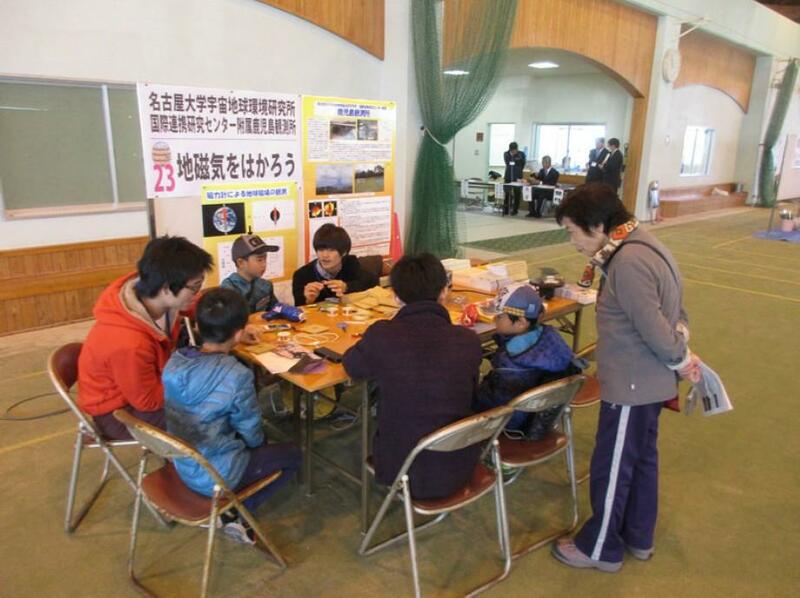 Prof. Shiokawa of CICR and four students of ISEE joined the Science Festival in Tarumizu 2017 which was held on 16 December 2017 at Tarumizu, Kagoshima near the ISEE/CICR Kagoshima Observatory. Call for Applications for ISEE International Joint Research Programs for the Fiscal Year 2018 was posted. 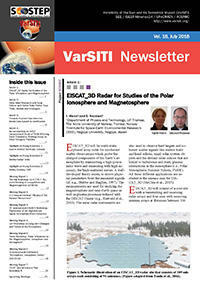 As an activity of SCOSTEP's VarSITI (Variability of the Sun and Its Terrestrial Impact, 2014-2018), VarSITI Newsletter volume 15 has been published from ISEE, Nagoya University. 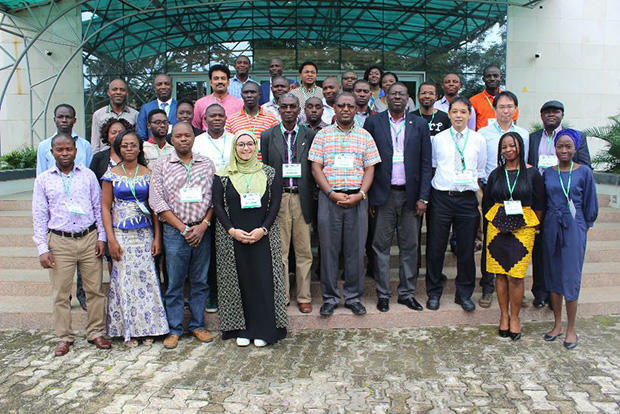 The 2nd International School on Equatorial and Low-Latitude Ionosphere (ISELLI-2) was held at the Covenant University, Ota, Nigeria on 11-15 September 2017. Fifty-two people joined from nine countries. Identification of generation of plasma waves in geospace. 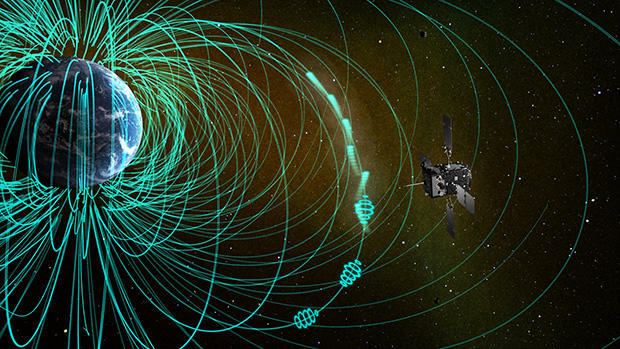 The ISEE team identified the generation process of plasma waves in geospace by integrated studies on the satellite data analysis and supercomputer simulation. The ERG-Science Workshop was held at NCKU, Taiwan from September 6 to 8, 2017. 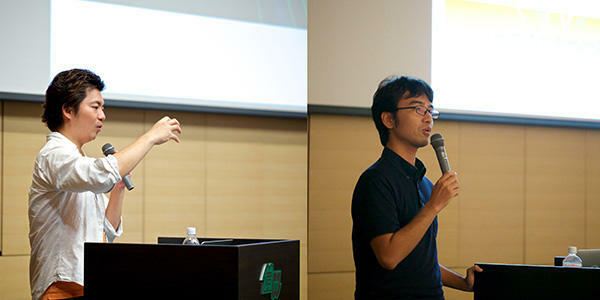 The 26th Astronomy Public Seminar was held. 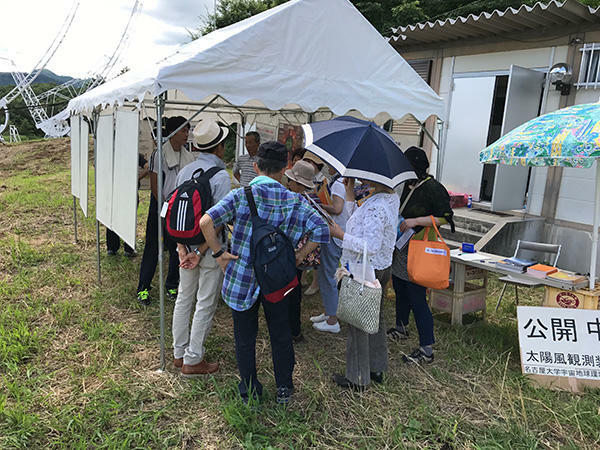 Public open house event of ISEE Kiso Observatory was held on August 5 and 6, 2017. The ISEE, Nagoya University, held PSTEP Summer School Rikubetsu 2017 at Rikubetsu, Hokkaido on July 30 – August 4, 2017 in collaboration with the Project for Solar-Terrestrial Environment Prediction (PSTEP, the PI is Prof. Kusano, the director of ISEE), and Rikubetsu town. 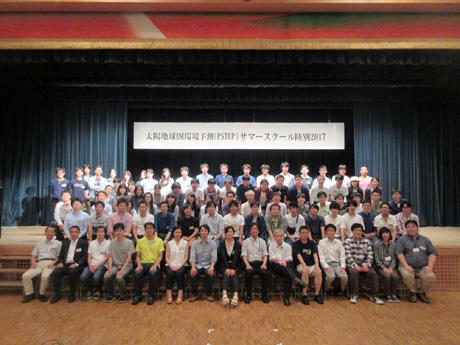 Outstanding Student Presentation Awards of JpGU-AGU Joint Meeting 2017 were given to Ms. Asahi (M2), Mr. Kamiya (D2), Mr. Nishi (M2), and Mr. Maure (D3). The 2nd VarSITI General Symposium at Irkutsk, Russia on July 10-15, 2017 in collaboration with SCOSTEP and ISTP of Russian Academy. This symposium was held with 162 participants from 26 countries to discuss the variability of the sun and its terrestrial impact. The international school “Introduction to Space Weather: Concepts and Tools” was held at Irkutsk, Russia on July 9-12, 2017 associated with the 2nd VarSITI General Symposium. Thirty-five graduate-course students and young scientists joined in this capacity-building from five countries. 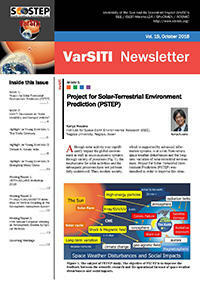 As an activity of SCOSTEP's VarSITI (Variability of the Sun and Its Terrestrial Impact, 2014-2018), VarSITI Newsletter volume 14 has been published from ISEE, Nagoya University. 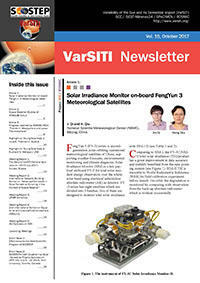 As an activity of SCOSTEP's VarSITI (Variability of the Sun and Its Terrestrial Impact, 2014-2018), VarSITI Newsletter volume 13 has been published from ISEE, Nagoya University. 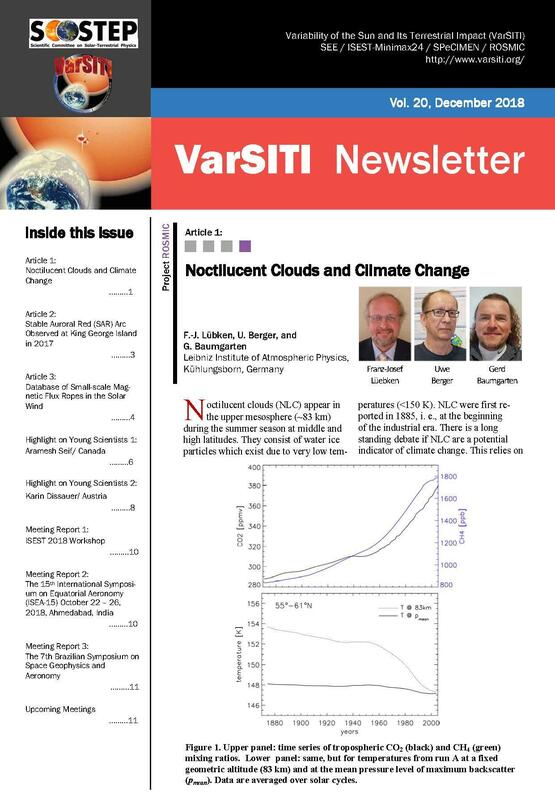 As an activity of SCOSTEP's VarSITI (Variability of the Sun and Its Terrestrial Impact , 2014-2018), VarSITI Newsletter volume 12 has been published from ISEE, Nagoya University. 3rd ISEE/CICR International Workshop on "Water-Carbon Dynamics in Eastern Siberia"
The 3rd ISEE/CICR International Workshop on "Water-Carbon Dynamics in Eastern Siberia" was held at Room 617 in Research Institute Building I during 3 days from January 19 to 21. 2nd ISEE/CICR International Workshop on "Review of the accomplishments of the mid-latitude SuperDARN network"
ISEE/CICR International Workshop on "Review of the accomplishments of the mid-latitude SuperDARN network" was held at Room 409 in Research Institute Building II during January 10 to 14. 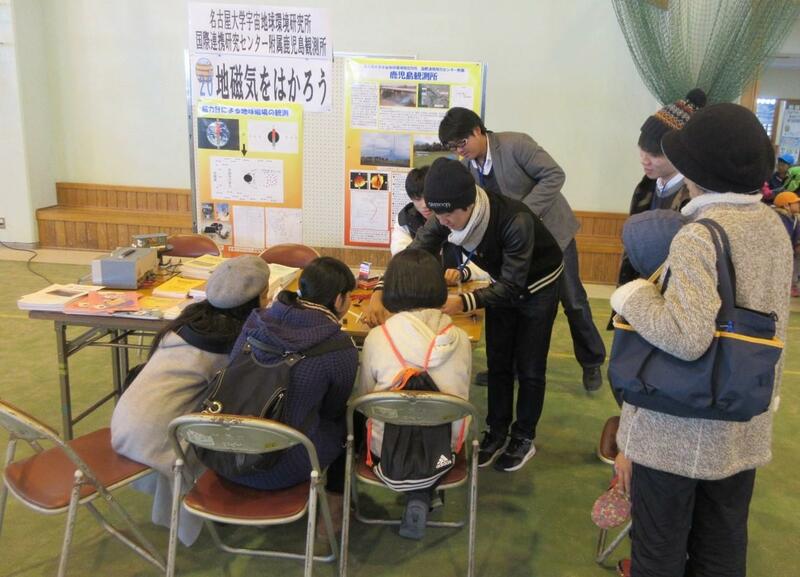 A staff and four students of ISEE joined the Science Festival in Tarumizu 2016 which was held at Tarumizu, Kagoshima near the ISEE/CICR Kagoshima Observatory on 17 December 2016. 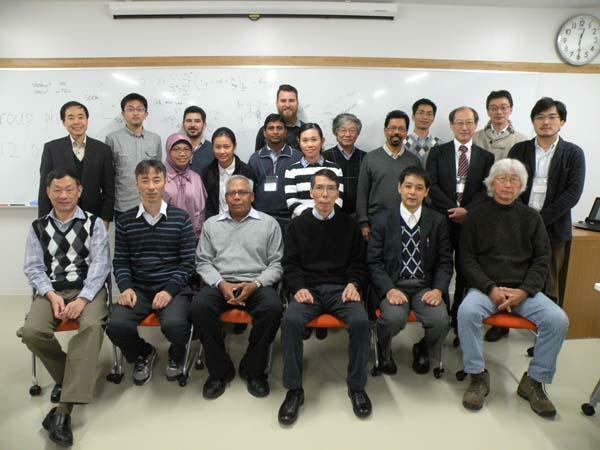 1st ISEE/CICR Workshop on "Ionospheric Plasma Bubble Seeding and Development"
From 29 November to 2 December, 2016, ISEE/CICR Workshop on "Ionospheric Plasma Bubble Seeding and Development" was held at Room 409 in Research Institute Building II in co-operation with PSTEP (Project for Solar-Terrestrial Environment Prediction). 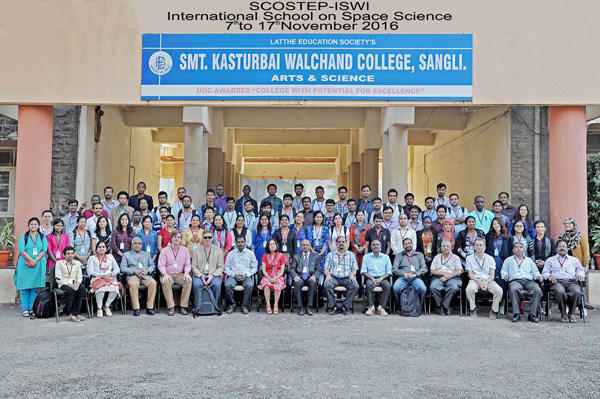 We have held the SCOSTEP/ISWI International School on Space Science, which is sponsored by the Scientific Committee on Solar-Terrestrial Physics (SCOSTEP) and the International Space Weather Initiative (ISWI) on November 7 to 17, 2016 at Sangli Maharashtra, India. 71 students and 30 scientists from 16 countries are gathered to have the school on space science. Call for Applications for ISEE International Joint Research Programs for the Fiscal Year 2017 was posted. 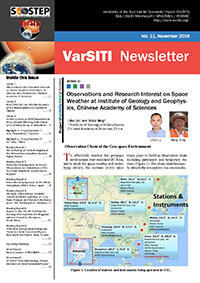 As an activity of SCOSTEP's VarSITI (Variability of the Sun and Its Terrestrial Impact , 2014-2018), VarSITI Newsletter volume 11 has been published from ISEE, Nagoya University. 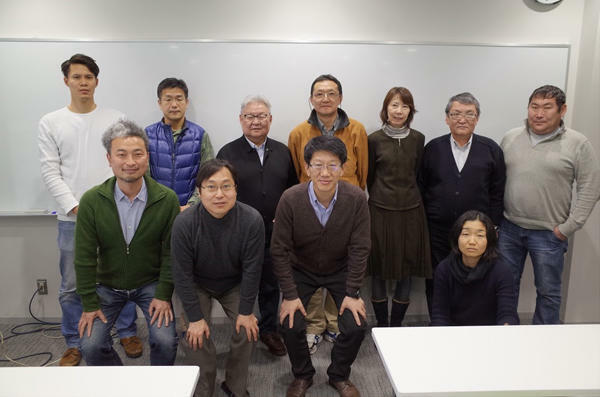 The Institute for Space-Earth Environmental Research (ISEE) at Nagoya University, Japan, is actively seeking candidates for one or two Foreign Designated Professor positions. Deadline of application is Oct.31, 2016. Please contact appropriate ISEE staff in your field for details of the application. In a collaboration with Chubu University, we developed an automated prediction technique for coronal holes using potential magnetic field extrapolation in the solar corona using synoptic magnetogram data obtained at Kitt Peak National Solar Observatory (USA). 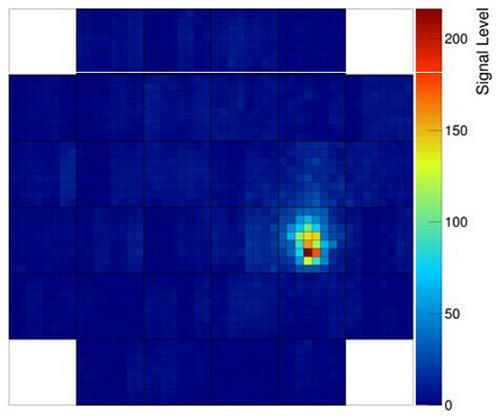 A prototype telescope and a camera of the Cherenkov Telescope Array successfully recorded cosmic-ray air-shower images. The prototypes were also inaugurated at the Paris Observatory. 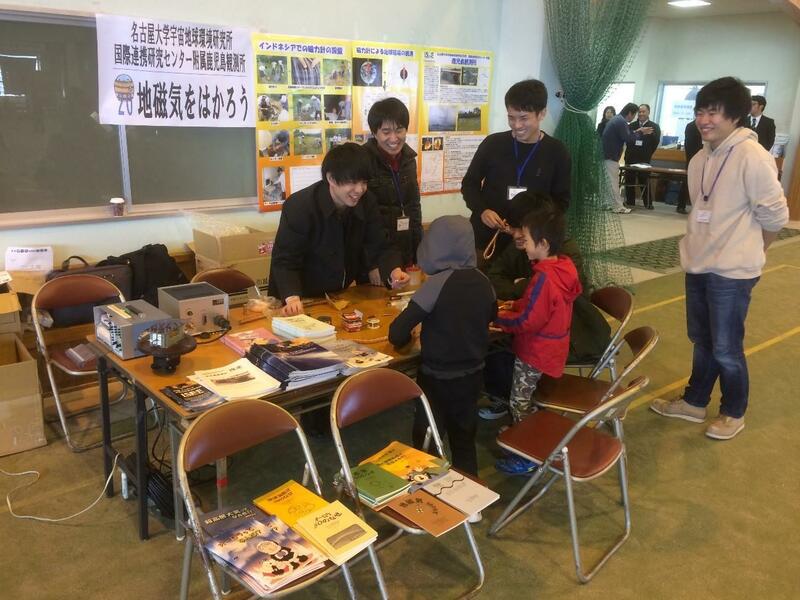 A staff and three students of ISEE joined the Science Festival in　Tarumizu 2015 which was held at Tarumizu, Kagoshima near the ISEE　Kagoshima Observatory on 5 December 2015. Inauguration events of ISEE (public lectures, international symposium, ceremony and party) took place from 3 to 5 November. The ISEE website is opened.